Lake Tahoe Resort Hotel sits on the California-Nevada border in South Lake Tahoe, and is near hiking trails and the gondola. Guests can walk 6 blocks to the shoreline, or head the other way for mountain air. Gamers can pop next door to Harrah’s Casino, and skiers can enjoy runs on Heavenly Mountain Resort, 2 miles (3.2 km) away. 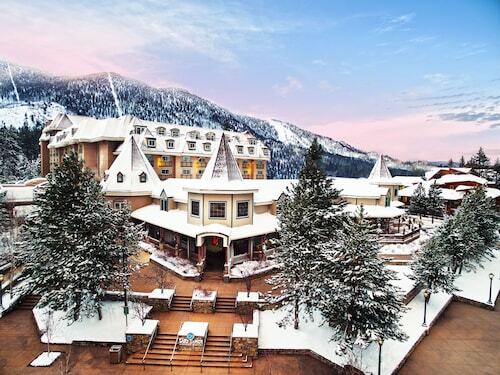 Nestled on the beach, this South Lake Tahoe resort is within 1 mi (2 km) of Bijou Golf Course and South Lake Tahoe Ice Arena. Heavenly Gondola and The Shops at Heavenly Village are also within 2 mi (3 km). 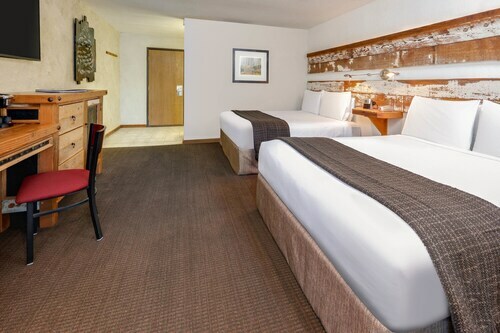 Hotel Becket Trademark Collection by Wyndhamt places guests a 10-minute walk from the shoreline of Lake Tahoe, with several casinos within a 1-mile (1.6-kilometer) radius of the hotel. The surrounding streets are lined with shops and restaurants, and nearby Heavenly Village is a hub for seasonal activities, from downhill skiing to waterskiing. 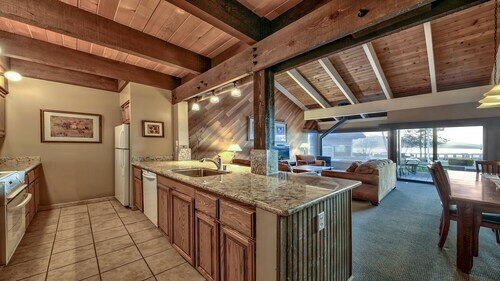 This South Lake Tahoe property is situated in the city center, and close to Heavenly Resort. 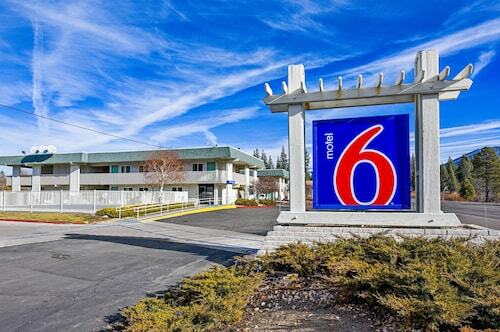 Situated in South Lake Tahoe, this motel is 0.2 mi (0.4 km) from Magic Carpet Golf and 1.8 mi (2.9 km) from South Lake Tahoe Ice Arena. Lake Tahoe Balloons and Lake Tahoe Historical Society Museum are also within 2 mi (3 km). 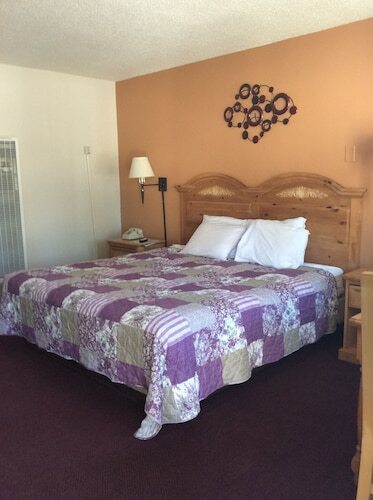 Situated near the beach, this motel is within 1 mi (2 km) of Bijou Golf Course and South Lake Tahoe Ice Arena. Heavenly Gondola and The Shops at Heavenly Village are also within 2 mi (3 km). 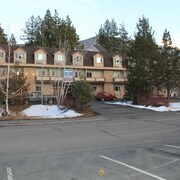 Located in the heart of South Lake Tahoe, this motel is within a 5-minute walk of Heavenly Gondola and The Shops at Heavenly Village. Heavenly Ski Resort and Lakeside Beach are also within 3 mi (5 km). Set amidst the mountains, this ski-in/ski-out motel in South Lake Tahoe is within a 10-minute walk of Heavenly Gondola, The Shops at Heavenly Village, and Lakeside Beach. Heavenly Ski Resort and South Lake Tahoe Ice Arena are also within 3 mi (5 km). Offering direct access to the beach, this South Lake Tahoe resort is in the city center, steps from Lakeside Marina and Lakeside Beach. Heavenly Gondola and The Shops at Heavenly Village are also within 15 minutes. Situated in South Lake Tahoe, this luxury vacation home is within 3 mi (5 km) of Lake Tahoe Balloons, Valhalla at Lake Tahoe, and Pope Beach. Magic Carpet Golf and Fallen Leaf Lake are also within 3 mi (5 km). 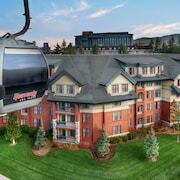 Situated in South Lake Tahoe, this luxury condo building is steps from Heavenly Gondola and The Shops at Heavenly Village. Heavenly Ski Resort and Lakeside Beach are also within 3 mi (5 km). Situated in South Lake Tahoe, this luxury vacation home is 2.3 mi (3.6 km) from Tahoe Paradise Golf Course and 2.3 mi (3.7 km) from Washoe Meadows State Park. Adventure Mountain and South Lake Tahoe Ice Arena are also within 9 mi (15 km). 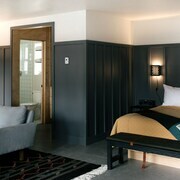 How Much is a Hotel Room in South Lake Tahoe? 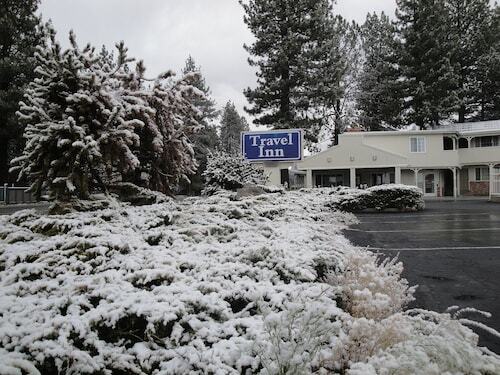 Hotels in South Lake Tahoe start at $38 per night. Prices and availability subject to change. Additional terms may apply. 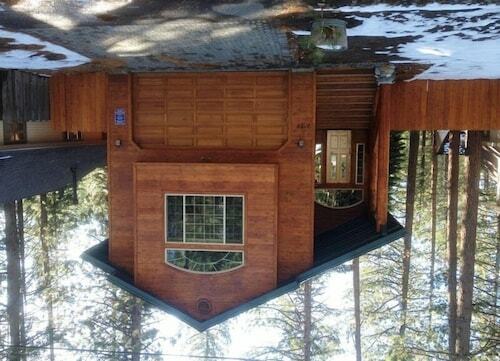 When you're on the lookout for great accommodation in South Lake Tahoe, you've got plenty of options. Travelocity lists a total of 322 establishments within 6 miles (10 kilometers) of South Lake Tahoe's downtown precinct. 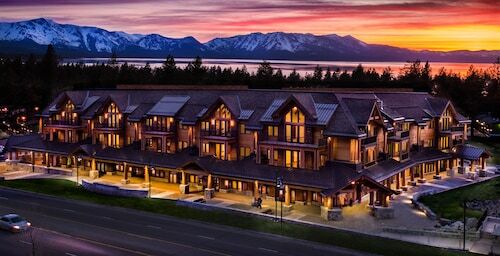 Within a 0.6-mile (1-kilometer) radius of South Lake Tahoe's central area, you can choose from a range of hotels and accommodations, like the Brand New Home with Amenities and Views by RedAwning and 321 Glenmore Way. 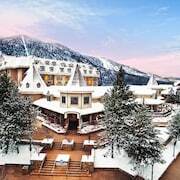 The Grand Residences by Marriott, Tahoe - 1 to 3 bedrooms & Pent and the The Landing Resort and Spa are accommodation options an easy walk away from the Heavenly Ski Resort. 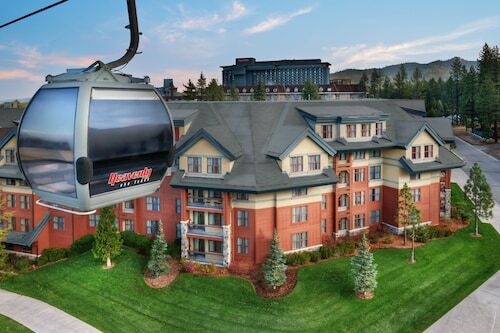 From the Grand Residences by Marriott, Tahoe - 1 to 3 bedrooms & Pent it is just 1 mile (2 kilometers) amble to the Heavenly Ski Resort. On the other hand, the The Landing Resort and Spa is located just 2 miles (3 kilometers) away. The Travelocity team appreciate that our clients have differing needs and budgets. So if you're seeking a hotel or appartment at the more budget end of the spectrum, South Lake Tahoe has some great options to choose from. 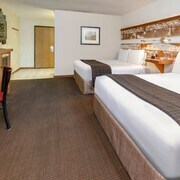 Additional lower-cost hotels are the Tahoe Chalet Inn and the 3 Peaks Resort & Beach Club. 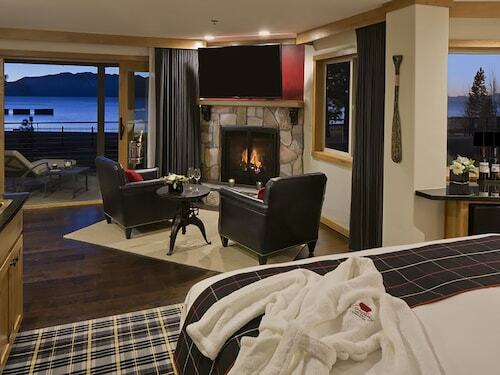 You could also try the West Shore Cafe and Inn or the Tahoe Seasons Resort, a VRI resort. The West Shore Cafe and Inn is positioned 15 miles (24 kilometers) outside of the middle of South Lake Tahoe. 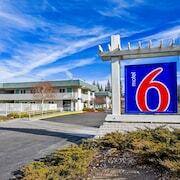 The Tahoe Seasons Resort, a VRI resort, is 6 miles (10 kilometers) away. 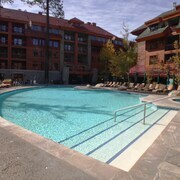 The Marriott's Timber Lodge and also the Grand Residences by Marriott, Lake Tahoe are alternative places to stay in South Lake Tahoe. The extended Northern California region is well worth visiting too. Investigate Northern California's art museums, art galleries and street art and photograph the region's mountains and valleys. Outdoor-loving visitors may also delve into snowboarding here. 25 miles (43 kilometers) from South Lake Tahoe, you will reach Kings Beach, where you can spend the day enjoying Kings Beach State Park and Kings Beach Miniature Golf. 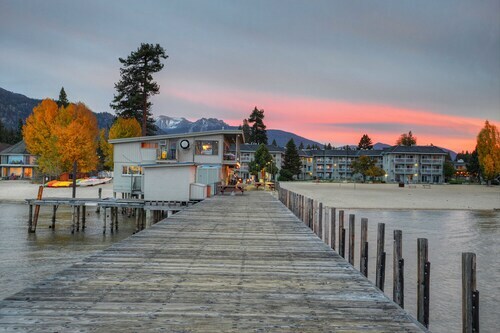 The Red Wolf Lakeside Lodge and Mourelatos Lakeshore Resort are a few of the long and short-stay choices in Kings Beach. 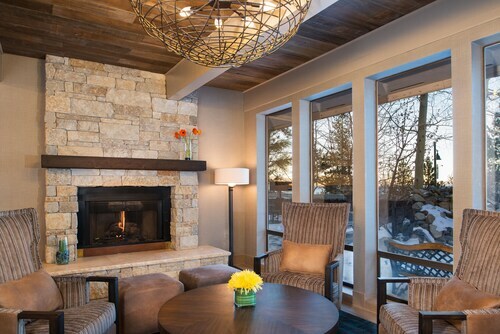 25 miles (37 kilometers) to the northwest of South Lake Tahoe, you can find Olympic Valley, which features the PlumpJack Squaw Valley Inn and Resort at Squaw Creek - Destination Hotels & Resorts. The Squaw Valley Resort and Aerial Tram are a couple of the more popular points of interest to explore should you visit Olympic Valley. Reno-Tahoe International Airport is a major entry point for those flying to South Lake Tahoe. You can find it 45 miles (72 kilometers) away. For modern travelers who have plans to find Travelocity-listed accommodation nearby, enquire about Club Lakeridge Resort or Homewood Suites Reno. I love that each of these property are slightly different from each other but it's also a bad thing. The only thing that I didn't like about this particular one was that they didn't have a decent frying pan. The only 1 they had had scratches on it because the utensil(1) was metal not good for coated pan. The eggs stuck to the pan and I couldn't cook the bacon at the same time as there was only one. Stayed in unit 427 and one of the bed in the loft has a broken box spring. Sunday night checkin wait of 2 hours starting at 4 pm. 'rewarded' with 2 drink coupons which was fair. great location, big room, 'free' breakfast. like most hotels in the region they add a $24 resort fee and $20 parking fee, so figure that in with your 'discount' rate..
It’s old and dated, but the rooms were clean and in pretty good condition. The shower/bathtub needed some tuning up- loose fixtures and the water temp control was kind of finicky, but plenty of hot water. Continental breakfast consisted of Oatmeal, fruit loops, rice crispies and English muffins. Milk, O.J. And coffee. That’s it. No waffles, no pastries, no fruit, not even bagels. 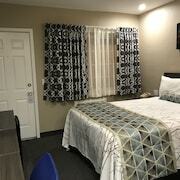 Great location, nice staff, clean rooms. Free breakfast. The hotel is close to everything. U don't need to drive at all. The staff is very helpful.